RFID Software – GAO RFID Inc.
GAO RFID Software gives you the power to control and know how your assets move for maximum productivity. Also known as “Middleware”, GAO RFID Software sends control commands to RFID readers that relay RFID tag data. This data is then reported to the GAO RFID Software that supports your specific business application. All of this information is synchronized on a server so that real-time access to important information is right at your fingertips. Our software is powerful and convenient: GAO RFID Software can be used with complete GAO RFID Systems or integrated with your existing RFID tag and reader environment. It is accessible from anywhere—your desktop, the Web, the Cloud, and even from a Mobile Device. 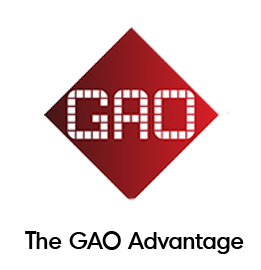 Discover how the GAO RFID Software below can be applied to your business environment.